Specifically designed with flipcharts in mind. 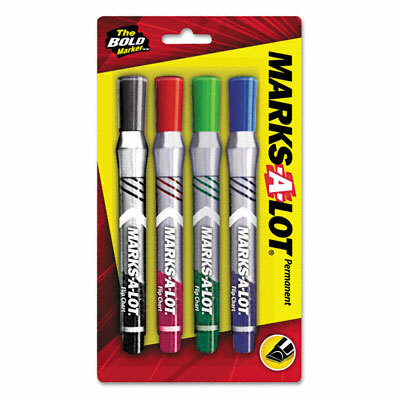 Unique slim barrel created for marking vertical surfaces. Even-Flow technology delivers consistent bold marks. Water-based, low-odor ink won’t bleed through paper. 1/4" durable chisel tip marks in a variety of line widths. Nontoxic; ACMI certified conforms to ASTM D 4236.